Kentucky 31 is a perennial cool-season tall fescue grass grown on an estimated 600,000 acres in the state of Mississippi. The popular forage is chosen for its drought tolerance and its adaptability across climates. However, the forage has an unwanted host, an endophyte or fungus that lives inside the plant. This endophyte causes problems in beef cattle due to toxic chemicals found in the seed. It has been estimated that cattle grazed on endophyte-infected tall fescue costs the U.S. beef industry from $600 million to more than $1 billion annually. These costs are primarily in diminished growth and reproduction capacity. However, there are other problems with cattle that consume endophyte-infected tall fescue. The toxicity can restrict the flow of blood to extremities, causing gangrene to occur in the foot and/or tail during the winter. During the summer, constricted blood flow to the surface of the animal interferes with its ability to regulate temperature, causing heat stress. Given its deleterious effects, scientists in the Mississippi Agricultural and Forestry Experiment Station sought to determine how the consumption of endophyte-infected tall fescue affects meat quality. “Our hypothesis was that if the animal is stressed from consuming endophyte-infected tall fescue, then the meat quality is going to be lower and the shelf life will be shorter,” said Dr. Thu Dinh, assistant professor in the Department of Animal and Dairy Sciences and MAFES scientist. The hypothesis is based, in large part, on what happens to the animal under heat stress. Dinh went on to explain, that when beef at the grocery store appear darker in color, it is most likely from cattle that have been under long-term stress or it is discolored by oxidation. The oxidative stress in live animals may advance meat discoloration. To test the hypothesis, scientists replicated a rotational grazing system in a grass-finished operation. During the entire study, all cattle had access to the same annual and perennial summer grass pasture, alfalfa hay supplementation, minerals, and water. Cattle were divided into two groups: a control group and a treatment group. Brandon “B.J.” McClenton, a doctoral student in animal and dairy sciences, conducted this portion of the study, under the direction of Dinh and Dr. Caleb Lemley, animal and dairy sciences assistant professor. During the first 70 days of the study, from June through August, the control group ate KY 32 tall fescue seed—the non-infected type—along with soybean and corn gluten pellets. The treatment group ate KY 31 endophyte-infected tall fescue seed, along with soybean and corn gluten. To ensure cattle ate the prescribed amount of feed, researchers used Calan® gates, an individual feeding system used in data collection for large animals. Both groups then had a break-out period in the same pasture from September through January. Cattle were then returned to the customized feeding schedule for 56 days from January through March. Cattle then were returned to pasture for a final break-out period from March through August before harvest. However, during the second trial period of feeding in the Calan® gates, from January through March, average daily weight gain for the two groups were similar. The explanation for this increase is two-fold. Scientists have found that feeding toxic tall fescue could develop resistant bacteria in their rumen to metabolize alkaloids such as ergovaline from the toxic tall fescue, supported by the increase in the glucuronic acid and the similar weight gains. Scientists also suspect that the supplementation of alfalfa, a forage high in vitamin E and an antioxidant, may have helped counteract the toxic fescue. Interestingly, the meat quality for both the control and treatment group was similar. Alexander Holtcamp, a graduate student in animal and dairy sciences, conducted this portion of the study under the direction of Dinh and Dr. Derris Devost-Burnett, an assistant professor in animal and dairy sciences. 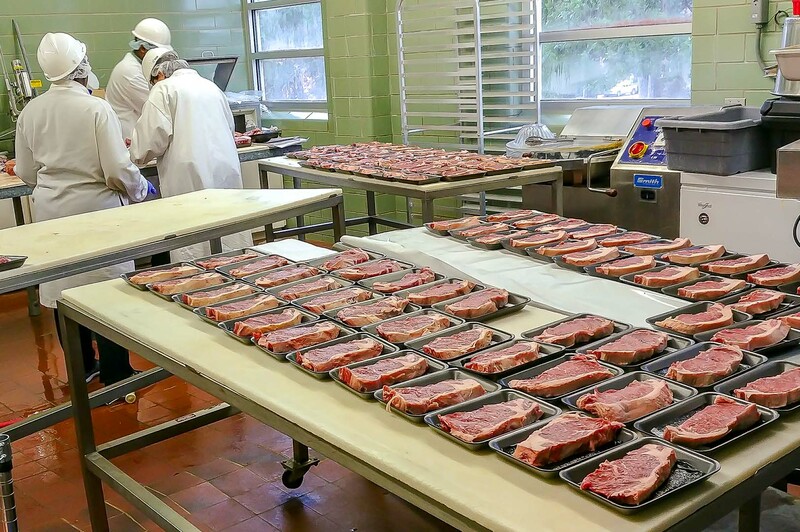 After harvest, scientists placed 1-in thick beef strip steaks on black Styrofoam trays, overwrapped with PVC film and placed under simulated retail display conditions for seven days. Holtcamp measured the color of the steak surface every day using a reflectance spectrophotometer. He also measured the oxidation of fat in the meat and the enzyme that helps stabilize meat color and microbial growth of beef strip steaks during a simulated retail display. This indicates the muscle in endophyte-infected animals may have developed a protective mechanism against the toxicity, Holtcamp added. The study also found that ingestion of endophyte-infected tall fescue seeds followed by a withdrawal period did not appear to have residual effects on carcass characteristics of grass-finished beef cattle. 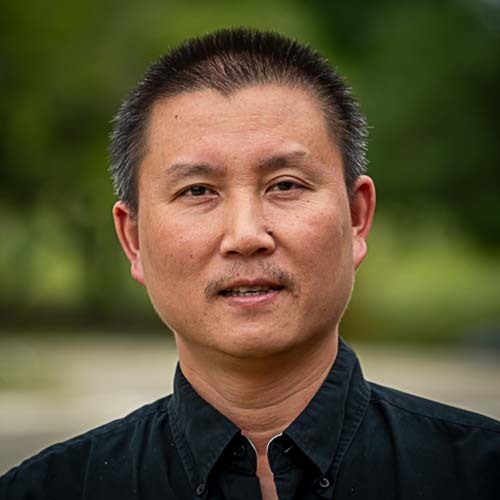 We have to do more studies, publish more data, and begin the conversation to change the perception about the quality of meat and performance of animals feeding on endophyte-infected tall fescue, Dinh added. 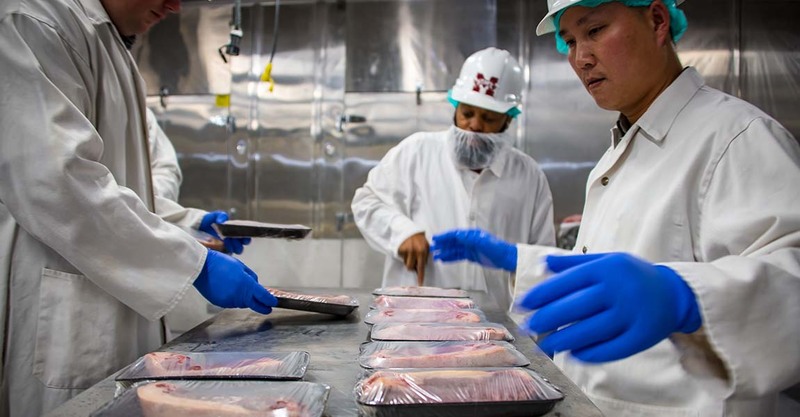 This study was funded in part by the Mississippi Beef Council, the Mississippi Agricultural and Forestry Experiment Station, and the National Institute of Food and Agriculture, U.S. Department of Agriculture, Multi-state Hatch project under accession number 1005778. Passion At Work: I consider myself an educated butcher who is committed to developing solutions for high-quality and safe meat products.